S5 Photofolio - another update from colorful template design studio Shape5, which is perfect for creating a website - portfolio. 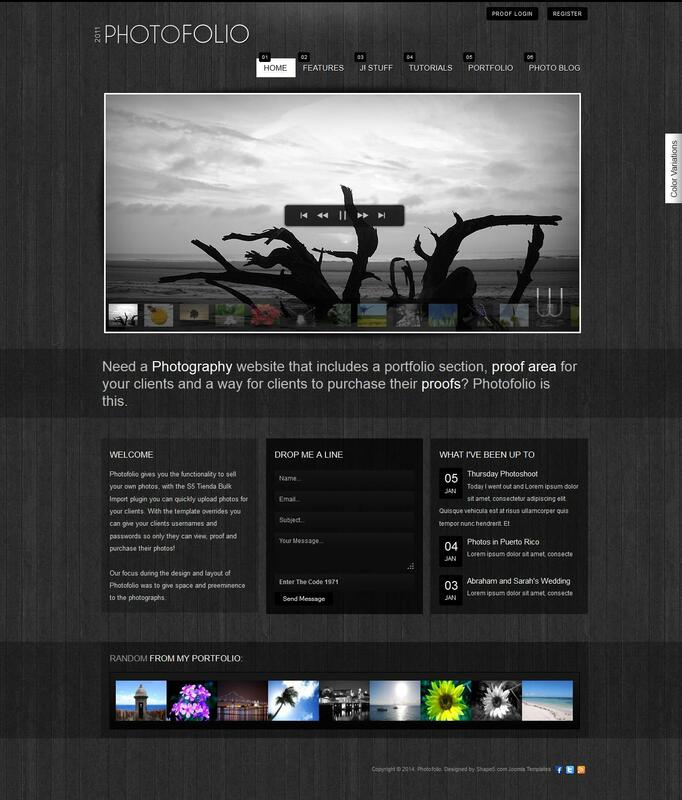 Gorgeous design layout made in dark colors, in perfect harmony with the theme and the external design template. Studio framework used for S5 Photofolio, responsible for mobile device support, faster boot and compatible with all browsers. A built-in extensions studio, greatly increases the potential and possibilities of a template for placing information on the site. Pattern characteristic of a good optimization, modern appearance and original design.